Fancy a simple unsophisticated lunch today? The emphasis here is on simplicity, just let all the different flavours come out naturally. 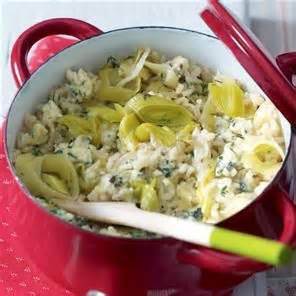 In a bowl toss the leeks with the hazelnut oil and place in a large roasting tin with the stock. 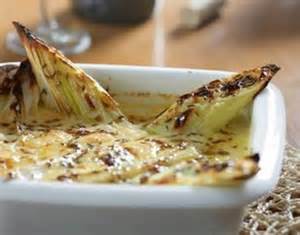 Dot the leeks with butter, cheese and nuts, then pop back in the oven and cook for another 20 minutes until the leeks are tender and the cheese has melted and is golden.